Exactly how does educating patients about pain lead to better outcomes? 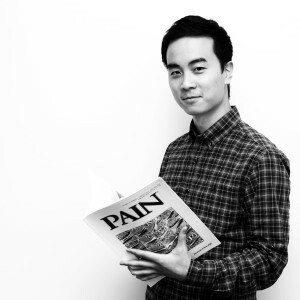 PhD student at NeuRA, Hopin Lee, is seeking to answer that question. Most of us know, through personal experience or having heard about someone else’s experience, that back pain can be troublesome. For many it’s just a niggle that can be kept under control with simple analgesics and a bit of reassurance that there is nothing sinister happening in their back. However, for some, back pain can cause major disruptions to life. While there may be some periods when symptoms ease, they often recur and eventually a longer period of persistent pain and disability ensues. There is no doubt that in clinical practice a large number of patients present with back pain, yet it is often the most difficult condition to treat. Clinicians are often faced with a choice of assorted treatment options, ranging from localised injections to generalised physical exercise and psychological interventions. Despite the plethora of available treatments, research suggests that their effectiveness is often modest with short lived benefits. Most research investigating back pain treatments has focused on answering whether the treatment is successful or not. This is the so-called ‘black box’ approach where little or no attention is paid to how the treatment exerts its effect on the outcomes that we strive to improve. A limitation of this approach is that we are left without any knowledge about whether the underlying theories behind these treatments are valid. Without understanding the mechanisms that underpin treatments, we naturally return to the black box approach and move on to test a new set of treatments, without thinking about how we can improve existing ones. However, if we are able to verify or refute the underlying mechanisms of our treatments, we may be able to refine and modify existing treatments to develop better treatments informed by evidence. Although theories and speculations about treatment mechanisms are bountiful, there has been little attempt to test theories with appropriately designed studies. A way of testing these mechanisms is to design studies so that mediation analysis can be applied. Born out of psychology, mediation analysis is considered to be an efficient method of investigating relationships between variables. This method of analysis will be the central focus of my PhD thesis – to explain how a treatment for lower back pain may have its effects on the outcomes of interest. Our group (Moseley group) at NeuRA is conducting a NHMRC funded randomised controlled trial (PREVENT) to evaluate the effectiveness of an educational intervention for patients with acute low back pain. My PhD will investigate the theories that underpin this intervention to see if they are valid and supported by the data. PREVENT tests, in a randomised controlled trial, whether patient education that focuses on reconceptualising how a patient thinks about pain during the acute stages can prevent their low back pain from becoming persistent. The patient education provides patients with the understanding that pain is a protective output of the brain, rather than a direct measure of tissue damage. Conveying these messages in relation to their existing beliefs and attitudes towards pain may modulate their painful experience, which may lead to better outcomes. These are some of the theories I will test in my PhD. So how might educating patients about pain lead to better outcomes? For example one of my hypotheses is that if patients are taught to think about their pain as a protective response of the brain rather than a signal of harm to their back, this might reduce catastrophising thoughts (having a negative outlook, thinking the worst will happen). This is a plausible theory, considering that catastrophising thoughts are related to pain intensity and disability. Patients who catastrophise about the prognosis of their back pain tend to have higher levels of pain and disability which coincide with slower recovery rates. The challenge is to decipher whether PREVENT can change these mediating variables (e.g. catastrophising, beliefs and attitudes about pain) and whether this then leads to better outcomes for patients. My vision for the future is that we seek to open the mysterious black box and peek into some of the complex mechanisms that are at work. This may allow us to move forward to logically refine our treatments based on scientific theory and reason. I think most of us would agree that a clear box provides better insight as opposed to an opaque black box… don’t you?